Being mathematically perfect and with an enormous and still growing global infrastructure, Bitcoin is the biggest threat for all fiat-currencies. And this happens in time of gigantic government debts with the only used strategy for repaying them to be the money-print. As you cannot print bitcoins voluntary the only reaction governments can have is to repress and ban the inconvenient competitor. 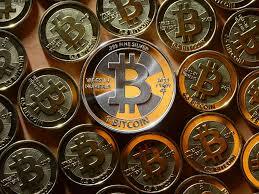 Up to now some of the major central banks have implemented restrictions of bitcoin. Also some influential investors as Warren Buffet are waging a verbal war on Bitcoin. It is clear that if any type of Gold Standard is re-established this will change the global financial and economic system that for decades was based on money-print and artificially low interest rates. Today people are accustomed on spending and taking loans, instead on saving and limiting the consumption. This obviously absurd system can be kept only by a constant increase in spending, and this way – till the final break-point when nothing more could be saved. Repressing the alternatives of paper money with zero-value is a way of postponing the crash. Every politician likes to postpone the problems.